Aren’t baby showers fun? I especially love it when mothers-to-be are expecting baby number one. There’s so much joy and anticipation! Grandparents are excited, best friends are buying presents, and new parents don’t even know how much their lives are about to change – almost entirely for the better! 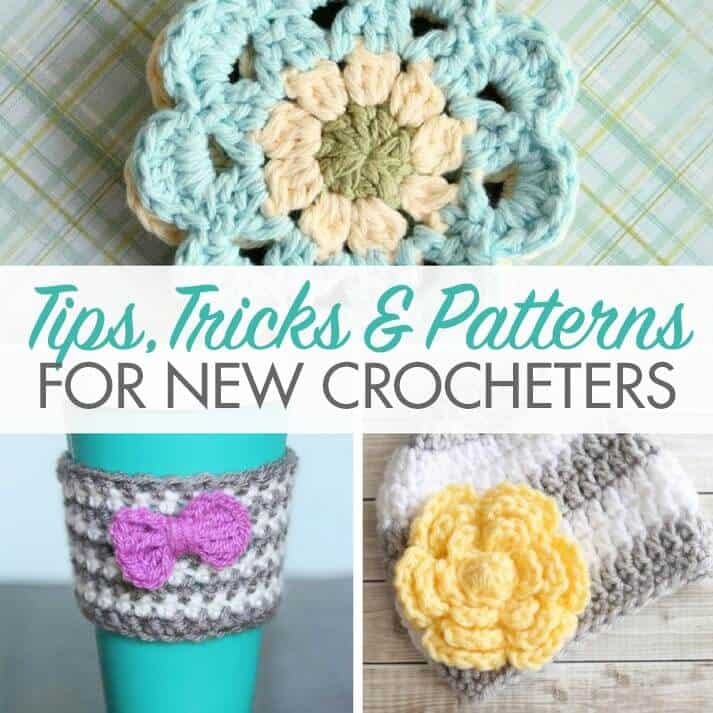 Those of us who crochet go into a flurry of excitement when someone close to us is having a new baby. 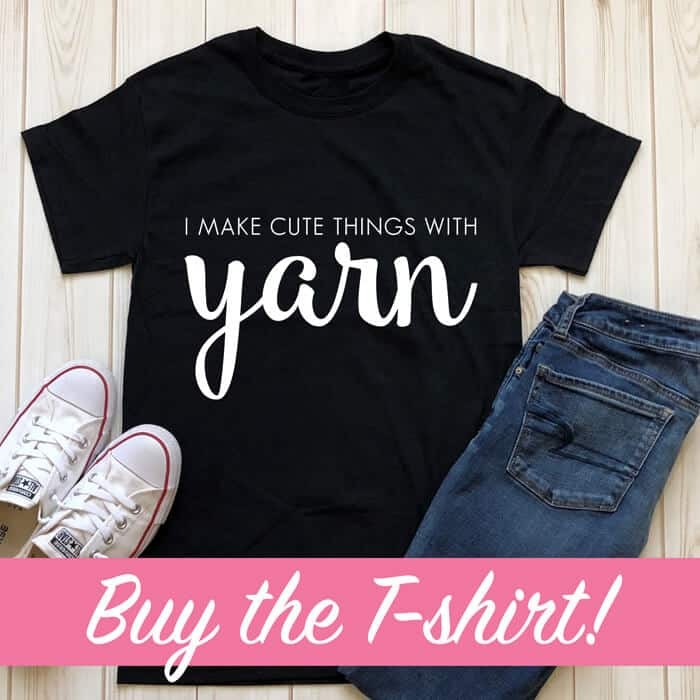 We pour over adorable patterns and pick out the perfect yarn until we’ve got just the right gift to make the special little someone. Have a baby shower coming up? Need to find the perfect gift? Look no further. 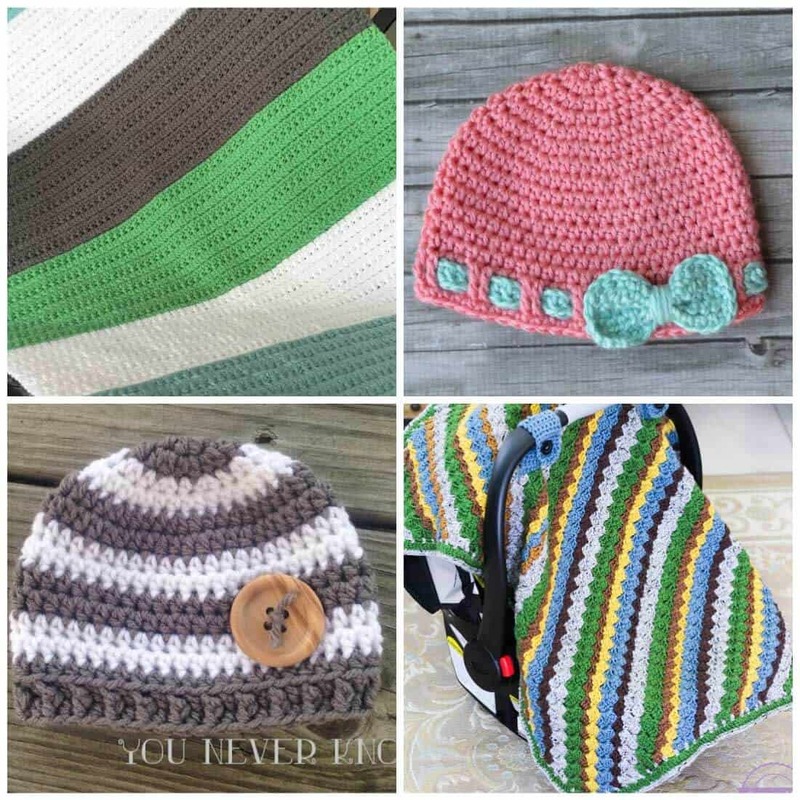 This collection of free crochet patterns for babies will have something that’s just right for the new bundle of joy. Goldfish Teether Crochet Pattern This adorable teether is so bright and fun. As with all toys with small pieces, please use this only with adult supervision. Polka Dot Baby Blanket I love polka dots, so of course, this crochet pattern is right up my ally. Crochet Cuddly Koala Lovey Have a koala-loving friend? 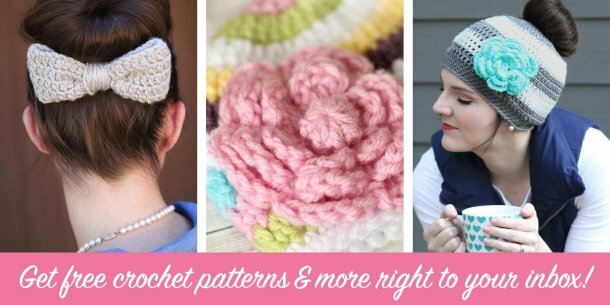 This free crochet pattern is perfect for that animal loving friend. Crochet Rattles I can’t get over the cuteness of these crochet rattles! They’re so cute and fun. Make just one or the whole set! Pacifier Pinkie Clip I’ve had two thumbsuckers and one paci baby. We needed about 30 of these clips! Animal Crochet Taggy Blanket These lovey blankets are perfect! Crochet ABC + 123 Pillows Don’t let the picture fool you. 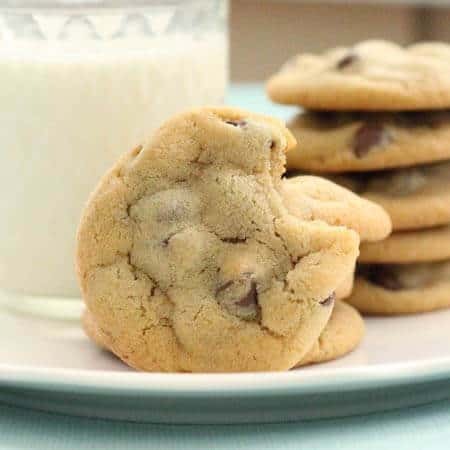 These bad boys are bigger than they look! 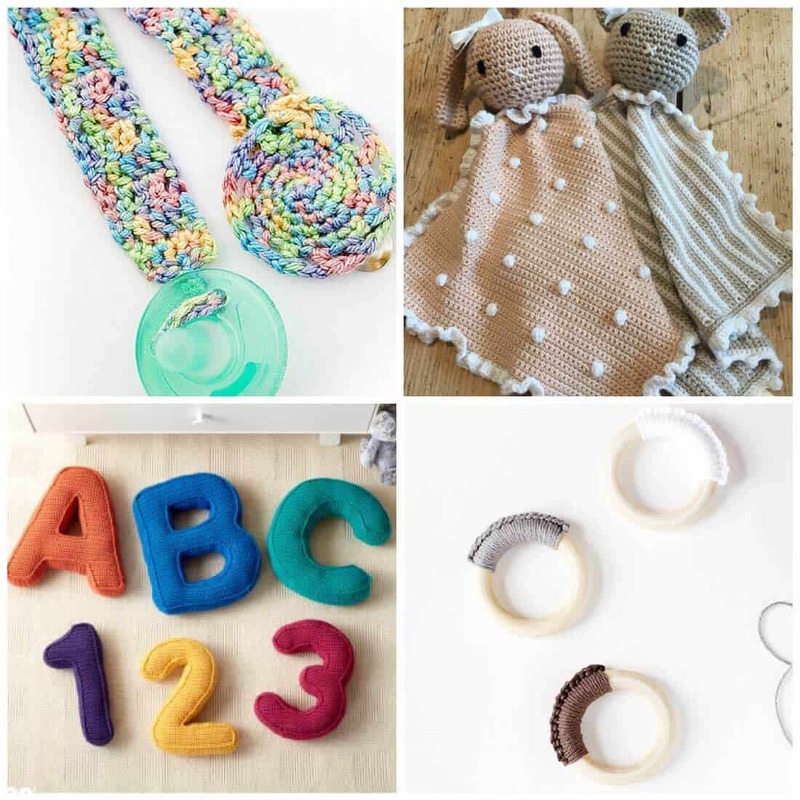 Crochet Teething Rings Such a quick and adorable baby shower gift! Color Block Baby Blanket Crochet this adorable baby blanket in the mom’s favorite colors or the nursery colors. 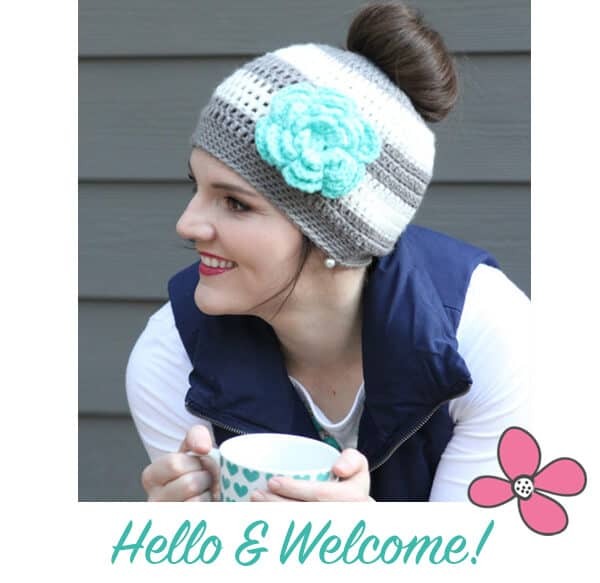 Faux Ribbon Baby Hat This hat with the contrasting ribbon will put a smile on any mom-to-be’s face! 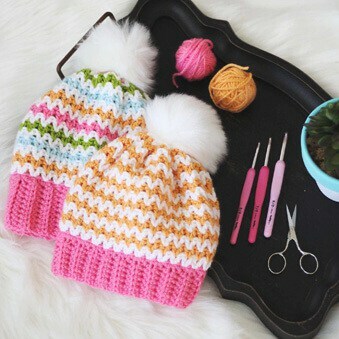 Striped Newborn Hat Just the perfect little hat for boys and girls alike. Crochet Car Seat Canopy A great way to help a little one nap on the go and to keep curious hands off your precious new baby. 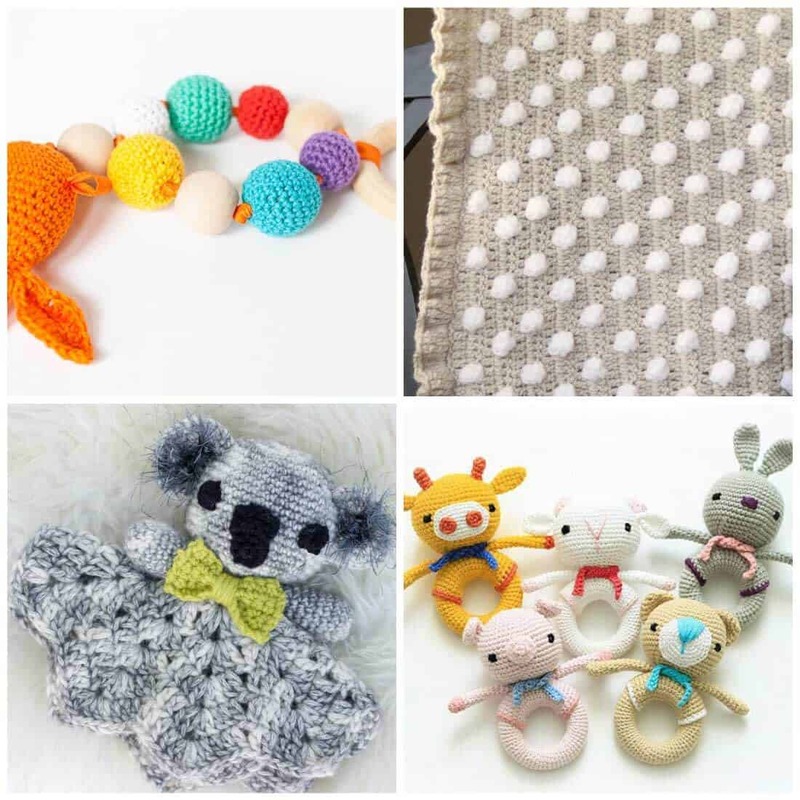 Crochet Baby Teethers These teething rings will keep baby entertained and occupied. Crochet Cloud Mobile What a fun way to dress up a nursery wall with a free crochet pattern! Door Quieter Crochet Pattern How many of you have spent 5 minutes trying to shut a door quietly?! Those days are over. 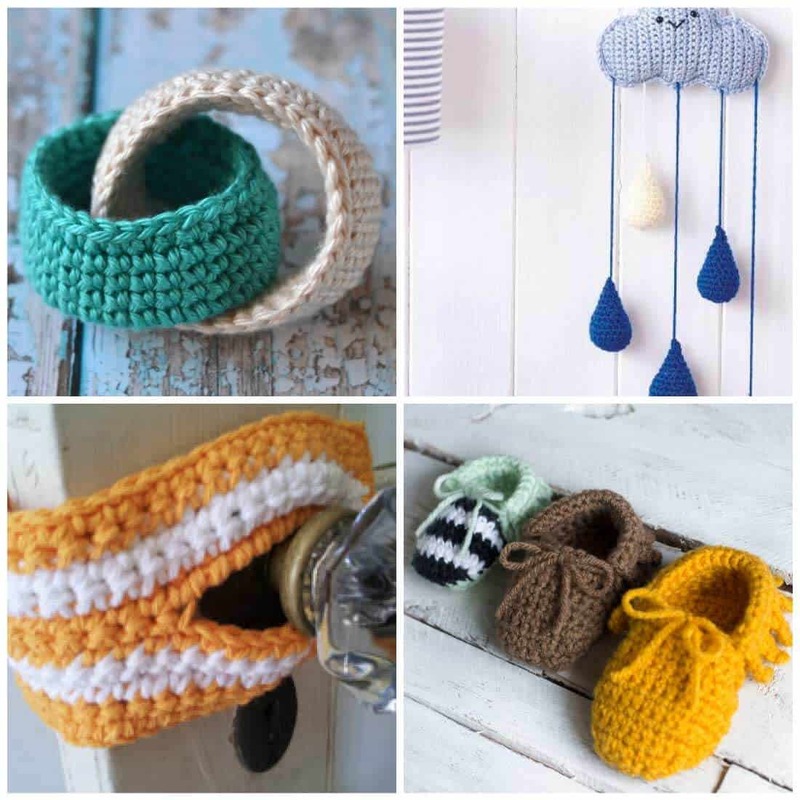 Baby Moccasins Crochet Pattern Why didn’t I see this pattern when my kids were tiny?! 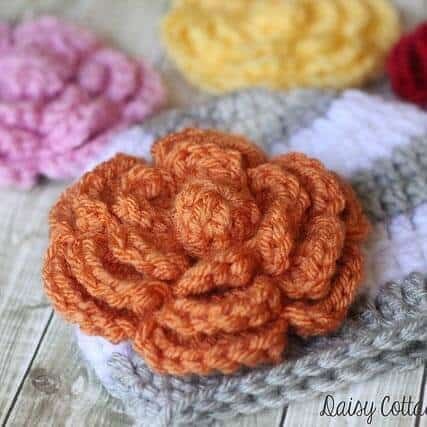 If you need a baby shower gift, you can pick something bright and beautiful or something neutral and calm. Or, you could choose something for later on – like teething rings, or something that will decorate their nursery!